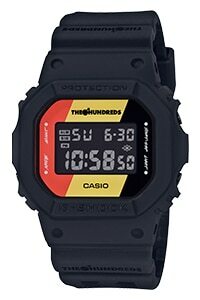 Tokyo, October 30, 2018 — Casio Computer Co., Ltd. announced today the release of the DW-5600HDR, a new collaboration model with The Hundreds, a lifestyle brand out of Los Angeles. 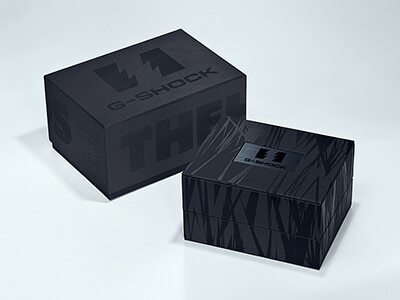 This is the third collaboration model commemorating 35 years of G-SHOCK, and it also commemorates 15 years for The Hundreds. While replicating the form of the very first G-SHOCK, the new model is meticulously crafted in an all-black design featuring a chic matte black bezel and band. 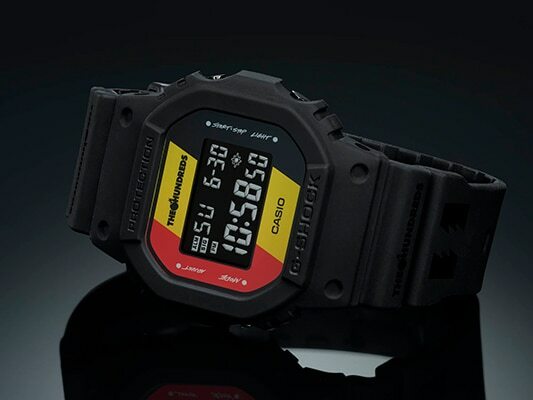 The new DW-5600HDR sports a compellingly simple yet distinctive design. To stand out against the black body, the brand logo is dynamically positioned on the face. 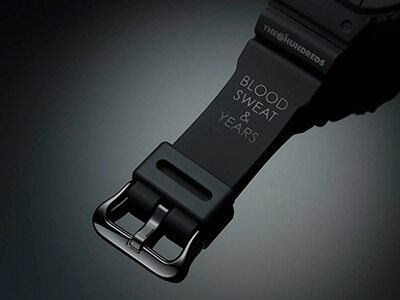 In addition, the band features the phrase “Blood, Sweat & Years,” a concept The Hundreds has always highlighted, very fitting especially in this 15th year of the brand. 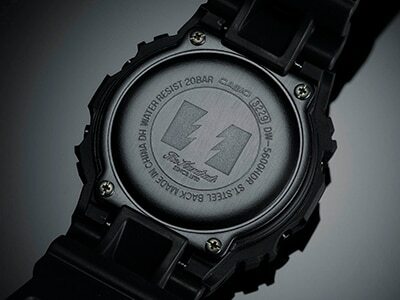 Like the watch itself, the special model comes in painstakingly designed all-black packaging. 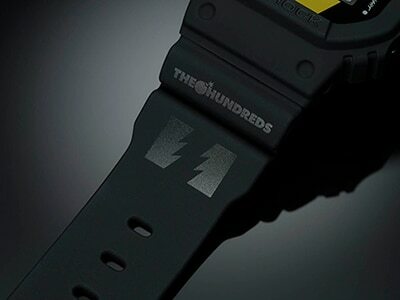 Founded by Ben and Bobby Hundreds in 2003, The Hundreds is a 2-part lifestyle project housing a streetwear brand and online magazine. The clothing is drawn from classic L.A. lifestyle, stylized workwear, as well as re-appropriated '80s surf and '90s skateboarding fashions.